ilovebrokenhill.com: St Patrick's Races this Saturday - look at this horse! St Patrick's Races this Saturday - look at this horse! I love this photo, taken at sunset at the Broken Hill Living Desert Sculpture Symposium. I thought it was topical given it's race week this week in Broken Hill - the famous St Patrick's races no less. The sculpture is one of 12, created from sandstone in 1993 by Lawrence Beck and 12 sculptors. 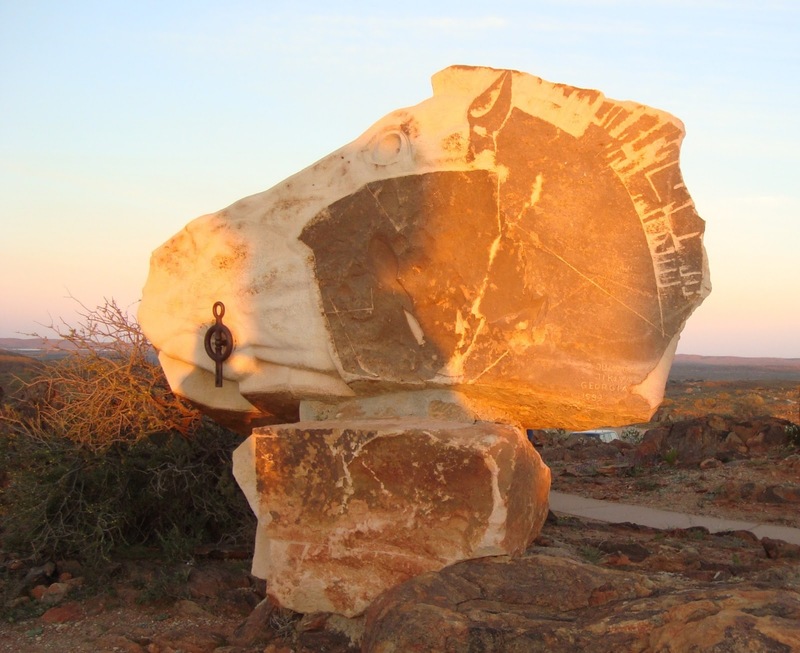 The sculptures are located about 12 kilometres from Broken Hill and I think are an absolute must see when you visit the city. Sunset and sunrise make great viewing times. Take a picnic and a camera. Back to St Patrick's races, I wrote an article on 10 March with information and links to some of the events going on this week, see link to article here or scroll down a few posts.